In last week’s blog, we revisited the all-important topic of maintaining clean skin. In order to do so, it’s up to all of us to keep up with regular cleaning routines that promote healthy, young looking skin. Too often, we take our skin for granted, forgetting that what we do every day impacts that way our skin looks. 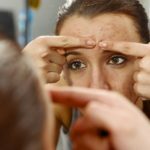 We took a look at an AcneTeam.com article that listed a number of simple skin care tips for us all to follow. Maintaining a regular skin care regimen is imperative if you want to avoid acne breakouts. Last week, we added our two cents to each tip on this list, and we’d like to pick up where we left off this week. Eat a well balanced diet, complete with plenty of fresh fruits and vegetables. This is likely a tip that we’ve all been hearing from our parents since we were kids. But who knew such advice would be good for our skin? As AcneTeam.com points out, fruits and veggies contain a lot of vitamin A and vitamin E – both are great for good skin care. Don’t avoid the sun, just limit your exposure. We’ve probably also all heard the advice, “stay out of the sun”. But that’s not necessarily the way to go. After all, who wants to stay completely out of the sun during the summer? There’s no fun in that! Be sure to put on that sunscreen and monitor how long you are exposing yourself to the rays of the sun. Acne, aging and worst of all, skin cancer are all worth avoiding. Don’t squeeze pimples, or pick at any sores. This tip is a hard one to follow, isn’t it? I, myself, am guilty of popping a zit or two. We see it sitting there and want nothing more than for it to be destroyed. But AcneTeam.com informs us that this act can actually spread acne and even leave scars. Remember, use the “hands off” approach and use Q-tips or cotton balls to apply ointments and creams. Get plenty of rest. Now, here’s a tip that we can all agree upon. There’s nothing like a good sleep, right? As the website points out, sleep allows our bodies to reset and produce hormones and chemicals that it cannot while we are awake. Simple and plain, sleep is good for your skin! Visit a skin care clinic. 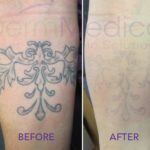 Of course, a skin care professional knows best when it comes to keeping clear and healthy skin. Do yourself a favour and treat yourself every once and a while. Your skin will thank you for it. Following these tips is a surefire way to keep your skin fresh and young looking all year round.